A new study reports characteristics of massive, ultracompact galaxies. It was published in the journal Astronomy & Astrophysics and was carried out by an international team led by Fernando Buitrago of Instituto de Astrofísica e Ciências do Espaço (IA2) and Faculdade de Ciências da Universidade de Lisboa (FCUL). Massive ultracompact galaxies have several times more stars than the Milky Way, equivalent to 80 billion suns, and are thus very bright. But their stars are densely packed within a size much smaller than the Milky Way. The researchers identified a new set of 29 galaxies with these properties at distances of between 2 and 5 billion light-years from Earth. Seven of these shy heavyweights are actually primordial galaxies that remained untouched by others since their formation more than 10 billion years ago. These so-called relic galaxies reveal how galaxies looked in the early ages of the universe, although they are located in our galactic neighbourhood. "When you study very small objects and you study them in the far away universe, it is very hard to tell anything about them," says Fernando Buitrago. "As this sample of galaxies we studied is in the nearby universe and relatively close to us, thought they are truly small, we have a better chance of probing them." The researchers have found only 29 such galaxies in the most complete survey of the local universe. "They are so rare that we need roughly a volume with nearly 500 million light-years across to find a single one of them," says Ignacio Ferreras, the second author of the study. 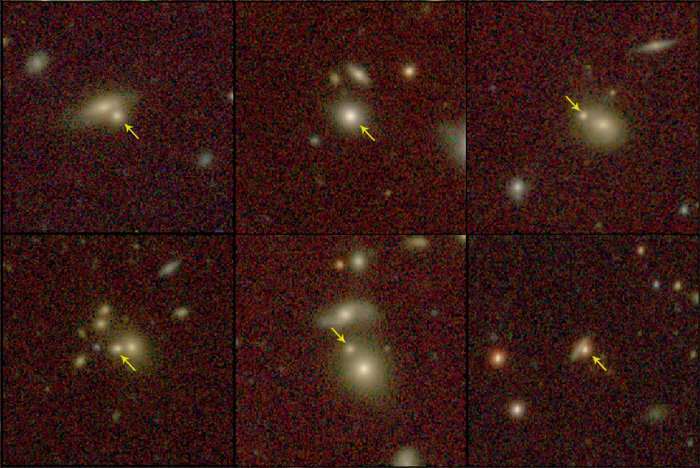 According to the paradigm of galaxy formation and evolution, these relic ultracompact galaxies could only be saved from merging with others and evolving by residing in overly populated clusters of galaxies. It may sound counterintuitive as galaxies in such crowded environments would more easily interact and loose their original properties, but Buitrago says, "In a place where there are many galaxies, there is also a lot of gravitational pull, and the velocities of the galaxies are very high. Thus, the galaxies pass by each other without enough time to interact significantly." "The surprise came when we realised that not all the galaxies in our sample live in such systems," Buitrago adds. "We found them in a range of environments, and for those that live in underdense neighbourhoods, this is very hard to explain." "Massive galaxies evolve in an accelerated way when compared to other galaxies in the universe. By understanding the properties of the most massive galaxies, we could understand the eventual fate of all the other galaxies, including our own Milky Way," Fernando Buitrago says.